We’d love your help. 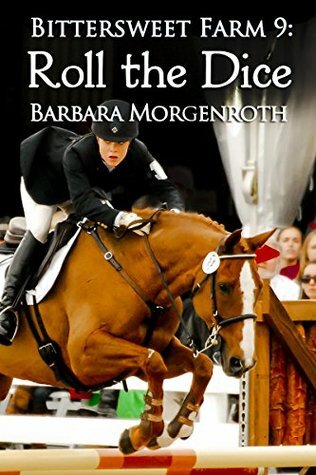 Let us know what’s wrong with this preview of Roll the Dice by Barbara Morgenroth. Cam and Greer can’t stop fighting and while it’s tearing Greer up, it doesn’t seem to affect Cam at all. Spring has arrived, fresh in all ways, with it an unexpected addition to the farm and an expected departure. As ever, Victoria is not without her surprises or her style of revenge. New opportunities are presented to Talia but she hesitates. Neither she nor Lockie are clear about the direction the farm should take and any choice means giving up something else. To ask other readers questions about Roll the Dice, please sign up. When will book ten come out? This series just gets better with each book. We see the relationship between Talia and Lockie grow, as well as Greer and Cam try to figure out if they have one. Talia is still training the pony riders and new faces are showing up to train with Lockie. Running the barn and all that is required makes life at Bittersweet Farm interesting. I loved reading the whole series. great characters and a fast entertaining read. I hope to read more from her again. I really enjoy this series. However, there are a lot of grammatical errors (at least a few per book).